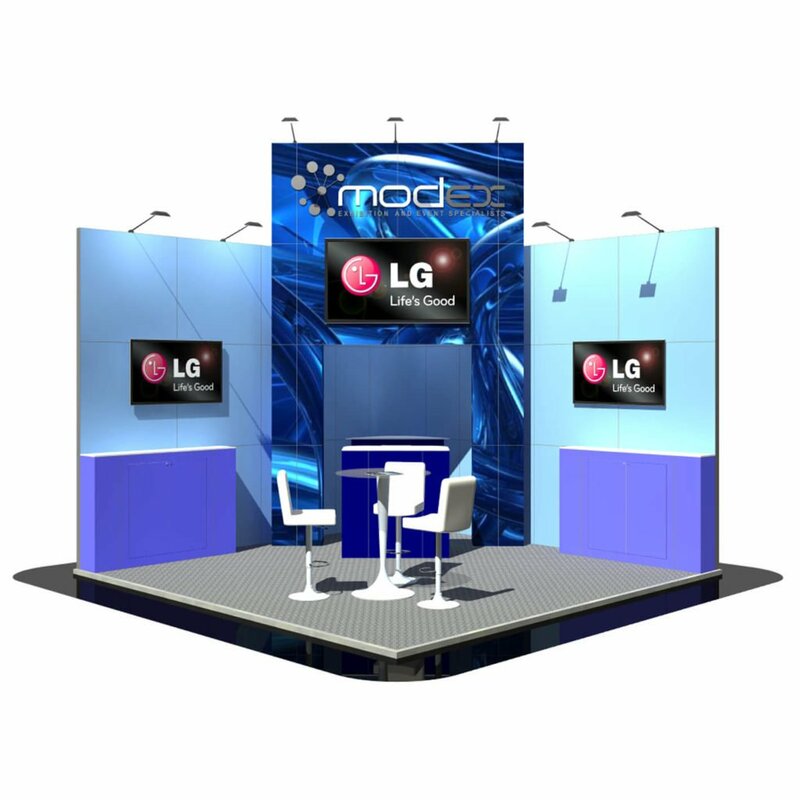 A protruding section on this 4 x 4 metre exhibition stand provides excellent company branding exposure. With lockable cupboards and counter tops there is plenty of space to promote your merchandise. A meeting table in the centre completes this stand.